Joining Bart this month are Dermot Daly from Tapadoo, Gazmaz from the MyMac Podcast, and Adam Christianson from the MacCast. The show starts with some quick followup before moving on to look at a few staffing changes at Apple that made the news in August. The five main stories for the month were Apple’s continued political engagement, Apple’s continuing push into Education, some privacy-related stories, some AR developments, and FitBit’s release of their Ionic smart watch. 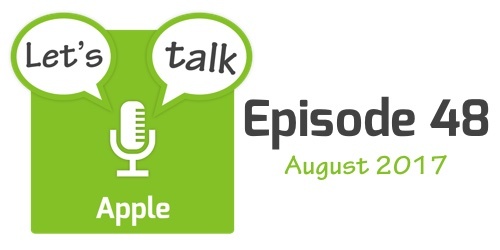 The show finishes with a quick rundown of some shorter Apple-related stories that made the news in August.